Use Protection and Take Cover! With my earphones in as I hit the trail at lunch time, I always hope the fashion police aren't out. I change into a t-shirt, put my tennis shoes on, and don a sun hat that an old man might wear. It's a bucket hat with a little brim, just enough to cast some shade on my face and neck. Between the hat and my sunglasses...I kind of thought no one would recognize me. To my dismay - people smile and wave! People I know! But, as you can imagine...I don't really care if I look silly. Sun damage is a big deal. I won't give you the "scared straight" version of your odds of getting skin cancer which will kill you. I'll take the "you'll get old lady neck" approach. I overheard a guy in the gym groaning about his sunburn saying he should have used sunscreen. Uh, ya think? Sunburns cause inflammation, and aside from the damage to your skin, he had a REAL hard time doing his chest workout because his back was so burned. Wearing a broad spectrum sunscreen, a hat, sunglasses and covering up a bit is just a good idea. Putting the sunscreen on 30 minutes before you go outside is the standard, and then you need to reapply it every few hours depending on your water/sweat situation. Using an ounce, which is a giant palmful to cover your body is just about the right amount. Don't be skimpy. Having a "base tan" doesn't protect you from the sun either, this is a myth. Even on cloudy days, we get sun damage. Do your skin a favor and use sunscreen to protect yourself from the harmful rays. It just makes sense to preserve your youth! You won't see me out there without my SPF 50, I always use protection and take cover! Hoarding is a form of obsessive compulsive disorder, OCD. It's compulsively collecting things, without the ability to get rid of anything. Most hoarders don't see their collection of treasures as a problem. And most also don't exhibit any other symptoms of OCD. Now, I've known many a exerciser in my time who you'd think had OCD. And really that's no joke. Exercise can for some become a compulsion. It can also take the place of other - much worse - habits. Perhaps it becomes an issue of scale ability. How bad could it be? I've heard from more than a few people recently though about their "friends" who hoard their calories for celebrations. Saving up your calories for junk food, foods not on your plan, and drinks out with the girls just doesn't make sense. With the holiday weekend coming up, I'm here to let you know - I'm on to ya! But I also want to let you know, there's a better way. I'm not going to tell you to, "Come drink the cool-aid." I'm smarter than that! Here's the thing: Eat what you're supposed to eat first. This means, eat your plan and then go out for the celebration. This is much smarter than not eating, and then drinking your 1800 calories in martinis. Set your foundation with the nutrition your body needs to fuel your workouts, to burn fat, and to keep your metabolism burning in order to make the progress you want to make. The celebration is on TOP of that. Too many calories you say? Well guess what...you get to do more cardio this week and tighten up your eating plan. But you have to get the nutrition - first. Don't hoard your calories and deprive your body of the nutrients it needs. It just doesn't make any sense. Now, go tell your "friends". There are lots of choices to be made around supplements. Some you can do without, some you should save your money, and others just might be a good idea. Glutamine falls into the last category. Amino acids are the building blocks of protein. There are eight essential amino acids which we must get from our foods, and 20 non-essential amino acids that our body can make. 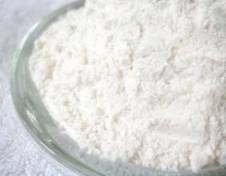 Glutamine is a non-essential amino acid. It's one of the most abundant in our body. We can easily get the amount of glutamine we need from our diet if we are eating rich sources of protein such as dairy products, steak, fish, poultry, and beans. Many people don't eat a variety of those items, or in the amounts or qualities needed - or they don't eat them at all. Glutamine is stored in our muscles, and our immune system relies on it. As a building block, it's job is to build and repair tissue and this particular amino acid is like your best employee. They will show up where ever you need them and do any job needed. During exercise, we release glutamine from our muscles into our bloodstream depleting our stores by up to half. Now, the problem is a deficit can cause muscle wasting. This is a huge issue for all types of chronically ill people, and a huge issue for athletes, endurance and strength alike. Research shows having readily available glutamine in our system post workout prevents muscle breakdown. It also helps cells attract water - so it can help our muscles stay hydrated. Glutamine taken post workout in your protein shake might be a smart way to help your body optimize recovery. Something to consider! It's commercially available and the Protein Factory makes a great one called Ajinomoto L-Glutamine. Click the "supplements" tab. I am by nature an eavesdropper. Paying attention is just part of my intuitive make-up. So, when I overheard a member at the gym talking with his workout partner about whether he should just "lift through the pain" - I couldn't help but share my thoughts on the subject with all of you. Training through pain is tricky. It's one thing to have muscle soreness, and work through that. Training through muscle soreness can be a good thing when you lift a little lighter, increasing the blood flow & range of motion through dynamic stretching. 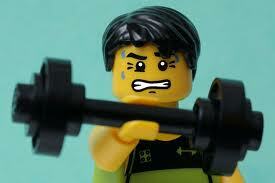 Soreness, by definition is an overall - or localized to a muscle group - stiffness, tightness, weakness or fatigue. It's an "achiness". We've talked about DOMS before, delayed onset muscle soreness caused by micro tears in the muscle fibers from overload. This is how we grow. "G-r-r-o-o-w-w-w!" I whisper to my shoulders after my workout. The onset of soreness usually comes 12-48 hours after your workout. Depending on the structure of your workout schedule you may be lifting through some residual soreness. While soreness can be uncomfortable, this is OK. Pain on the other hand is very different. When you can feel and point to a specific spot where you feel pain in a muscle or joint you're on your wey to an injury. You've got a problem. Working, or lifting through that pain will cause further damage. By definition, pain is typically sharp, and pointed (meaning you can say, "I feel it right here."). It can also be acute at onset, meaning you can identify when it happened. Continuing to train with this type of pain (injury) leads to either an acute tear, or a chronic injury usually at a joint. I'm saying, it's not going to get better. By all means he should not train through the pain. We talk to people all the time with shoulder injuries who can with specific bio mechanical changes in how they lift, reduction in the amount they are lifting, changes to the lifts they are performing and strict form, can begin to rehab a shoulder injury before it becomes a surgical issue. You should ALWAYS take your concerns of muscle or joint pain to your doctor. Training through pain will not make them better. Sometimes rest, ice, compression, and elevation will help. Rest being the first (which doesn't translate to training through). But an underlying injury can only be determined by your doctor. If something doesn't feel right, get it checked out. It's better to deal with an injury even if that means a repair, so you can get yourself healthy and back on track. Hair Bands Holding You Back? I realized as I was gathering a few necessary items from my bathroom - there's a whole lot of stuff under the sink. Preparing to relinquish my bathroom to our house guest, I got what I needed to encroach upon my husband in "his" bathroom. In the process, I learned two things. I have a lot of stuff...the cabinet under the sink is a wasteland of things I don't want to deal with. Mistakes I've made. Purchases I shouldn't have made. Things I thought I needed. Things I forgot I had, and bought another one of. Hair bands from when I had long hair...8 years ago. What aren't you dealing with in your life? What "stuff" is holding you back from making progress toward your goals? Are you surrounded by clutter? Isn't it time to let that stuff go? Cleaning house in a literal way makes room for our subconscious to move forward. All that stuff takes up our energy. It's time to make room for progress. This doesn't mean filling things back up. It means freeing space for clarity. 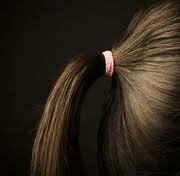 I'm giving up my hair bands. What are you willing to let go of in order to begin to move ahead? Open things up, it's time to see what's in there. With readers across the nation and around the world - you could say Bliss has a wide reach! Which I love (not gonna lie.) And I can't help but share some of the excititng events going on this weekend in my little tiny - perfect - corner of the world. 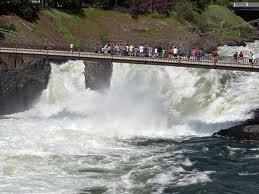 This is a HUGE weekend in Spokane USA and neighboring Coeur d'Alene for athletes. Spokane Hoopfest is well underway, and boasts the worlds largest 3 on 3 basketball tournament. With 6,700 teams, 3,000 volunteers and over 200,000 players and spectators that's a lot of hoops! Hoopfest spans 40 downtown city blocks with 428 courts. Wow! That's a lot of coolers, folding chairs, bottles of G2, sunscreen and fun. There's also a food fest, tons of vendors, shopping, live music and a whole host of things to do. The weather is perfect, and we'll hope for not too many injuries! Hoop it up! 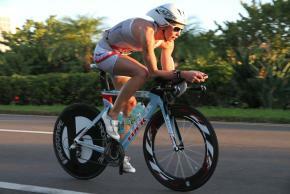 Next up is the Ford Ironman Coeur d'Alene Triathlon. Sunday morning over 2,000 athletes will swim 2.4 miles in the beautiful and frigid Lake Coeur d'Alene, bike a 112 mile course, and run 26.2 miles. During my commutes this week I have seen FANCY bikes rolling in atop cars with licence plates from all over the place as athletes come into town. The city of Coeur d'Alene has an Ironman Village full of eating, shopping and recovery activities, music and all the like. There's no arguing this is a beautiful place to live, work, and play. I hope all the athletes and their cheering squads enjoy the Inland Northwest, thanks for coming to town! Now get out there and enjoy the day! Red is the new black! Chock-full of antioxidants and low in calories, research suggests that foods from the cabbage family are particularly powerful breast cancer fighters. Try shredded red cabbage, cooked with a chopped apple for sweetness, as a simple but bold side-dish to any meat-based meal. My husband and I had a conversation recently which reminded me about balancing our expectations. The greatest push back we hear from people is the juxtaposition of truly eating what you need to eat in order to have the body composition you want to have. It reminds me we need to find balance in our lives. Part of the equation is being realistic about our expectations. Finding an eating pattern we can live with is important. Being comfortable in our body is equally important. It doesn't however mean we need to have a certain kind of body. Working "extras" into our eating plan is very doable. Treats, including alcohol, if you so choose - can be part of your plan in a moderate way. When it is moderate and managed you can expect a somewhat predictable outcome. That said, what may not be realistic is having a leaner than average body composition for example. It's fair to say you can't have it both ways. So, what's the answer? Well, the answer is we need to ease up our expectations. Certainly, we can't expect to look like a fitness model if we aren't willing to eat and train like one. Can we? We must understand the women on the covers of the fitness magazines are the 1% of the population who eat and train like athletes, right? You know it now. Be moderate and managed, get your cardio in, and by all means - lift those weights! Eat a balanced, healthful and clean plan that includes a wide variety of foods. Pay attention to your portions, and your frequency of eating. Cut excess calories which don't provide you nutritional value, and know what you are eating. Those are the basics - and they work. Add in balancing your expectations, and finding peace with your body and you'll be on your way to actually finding your bliss! "I could never do that, I have no willpower!" Now, there's a statement I hear a lot. Whatever the "that" is, the thing you thought you could never do...I think you could. It's just we think about willpower all wrong. I call it "won't power". We think of it as some power we should posses. It's something we should automatically have. If we were good/smart/better/etc. we would have this fancy power. The people who have it, just have it. It's like they channel it! It's...as if it just comes through them! What the heck kind of bull-larkey thinking is that?! Willpower is simply self discipline, it's self control. It's just controlling how you conduct yourself. It's exerting your "will" over your inhibitions of your body or your self. We all have it, it's nothing fancy. 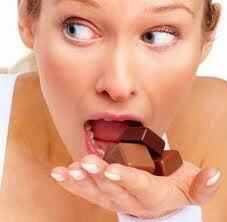 Yet, when it comes to our eating habits we have trouble with willpower. It turns to won't power. It's all tangled up in entitlement, in wanting what we want, in not wanting to do what feels different. Make the leap. Turn your won't power into willpower by thinking of it as getting you to your goals. Two skills can help you do this. First, anticipate and plan. We talk about this a lot. Anticipating situations where you might have challenges and making a plan BEFORE you are in the situation will help you be successful. Next, exercise your willpower. Use it to get better at it. As you do, you'll be rewarded by feeling great. We all have willpower and we all choose how and when we exercise it. Start turning your won't power into willpower in the areas where you want. Use it or lose it, you have the power! In the past week, I've had a handful of people talk with me about their struggles in one certain "danger zone". Difficult to avoid, this place is bound to cross your path on a daily basis. It simply can't be helped. So get your tactical gear on...we're going into the office break room! For many the office break room is the only place you may take breaks. (That's why they call it the break room.) It's the place where the coffee maker is, the microwave, refrigerator, and a place to sit down away from your phone, and computer...if that's the kind of work you do. Maybe it's the place you come in from the heat or cold. Either way, if you're not prepared it's a dangerous place. I've seen bare bones break rooms where you can't even find a stray napkin. And I have seen the Taj Mahal where you have anything you could want and a basketball court at your disposal. Break rooms come in all makes and models. What they don't have, is your goals and plan in mind. They are FULL of danger. You've got to go in there with your eyes wide open, your plan in mind, and your mission clear. If you're going in there to fill up your water bottle. Get in, get filled up, and get out. Mission accomplished. Don't allow yourself to be sidetracked by the counter full of partially-hydrogenated baked goods covered in frosting and smiley faces. Those items are not for you. Besides, if you knew that cake spent the weekend on the counter...and was still there Monday - gross! When you go in to heat up your meal - if you must sit in there with the peanut gallery - be prepared. Be positive about what you're eating, don't begrudge it...you've chosen your goals. When Pauline the Pusher asks if you want some of the pizza they ordered in, simply say, "No thanks." No need to explain. Still pushing? "I appreciate your willingness to share - it just doesn't fit in with what I'm working on right now." My point is use your words when people try to bully you. Silly, but it happens. One of the greatest tools is avoidance. I pack my cooler and I don't eat in the break room. Anti-social? Maybe, but I also prefer a bit of quiet time to recharge rather than a bunch of social time. Knowing what you'll face in the break room is half the battle. You know there will be challenges in there. You know if you go in there without presence of mind, you may have something stuffed in your mouth before you know what happened. Make your decisions before you even see what's on the counter of left-overs. You can break through the office break room by being present, and keeping your goals in mind! Be a Smart Vegetarian! Don't Pack on the Pounds! There are plenty of myths out there about health and wellness. And here's one I wanted to pass along to make sure you don't get type cast. Eliminating meat from your diet can result in great health benefits, but if you don’t follow a vegetarian diet properly, you could accidentally pack on pounds. Cheese-aholic vegetarians: They cut out meat from their diets and turn to cheese as a protein source. But cheese is a high-calorie, high-fat food and should be eaten in moderation. Faux-meat fixators: All they eat is boxes of frozen faux meats, such as soy chicken nuggets, vegetarian sausage links, and veggie bacon strips. These products are okay once in a while, but they are heavily processed and can have a lot of sodium, resulting in bloating and water retention. No-veggie vegetarians: A lot of vegetarians don’t eat enough fruits and vegetables. They eat only grains, beans and veggie burgers, all of which can be high in calories. Same-meal-minus-the-meat vegetarians: These people eat the same meals they did before, but without the meat. If they’re not replacing the protein, they’ll probably have a ferocious appetite and may be missing out on essential nutrients. If you're a vegetarian newbie be sure to look for protein rich alternatives like beans and legumes, get creative and look for variety. Experiment with recipes and do your homework to make sure you're getting all the nutrients you need. It's easy to make the meatless switch in a healthful way...just don't get type cast or you may pack on the pounds! 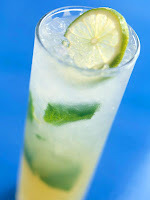 Shake It Up - Mojito Fresco! I could remind you of the time I yelled, "Thank You!" on the play ground, and Mrs. Hanna thought I yelled, "F@*k You!". What sixth grader would say that? Please. Having a track record of shaking things up, being unpopular, or misunderstood is something I am willing to live with. I'll even hang my hat on it. Although with this hair...I don't really wear hats - it's a big commitment. However, I thought it only fair to actually give you a recipe for a cocktail. 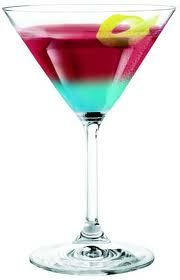 So here's a summer cocktail with only 95 calories per serving...find 7 friends, it makes 8 servings, and shake it up! The popular Cuban cocktail's combination of sweetness, citrus, and refreshing mint is the best way to fend off the summer heat wave. 1. In a blender combine lime pieces, 2 cups water, and 2/3 cup sugar. Cover and blend about 30 seconds or until limes are chopped; do not puree. Strain through a sieve into a large pitcher. Mix in 2 cups additional water. Cover and chill for 1 to 12 hours. 2. Stir rum into lime mixture. Moisten the rims of 8 glasses with the reserved lime piece; dip rims in sugar. Divide mint among glasses. Use a wooden spoon to press mint into the bottom of each glass; press firmly to release flavor. Fill glasses with ice cubes. Pour chilled lime mixture over ice and mint leaves. If desired, add extra quartered limes and/or mint leaves. It would be nice if our stress levels remained relatively even all the time. Even in a good way. This. Does. Not. Happen. If I've let the air out of your balloon, well - wake up! Our lives are stressful. We juggle jobs, households, families, career paths, kids, educations, spouses, finances, parents and a lot of responsibility. Pile on our emotions, the occasional injury or dealing with a cold or allergies...and you might find yourself curled up in a ball. Managing work-life balance is a place to start. There's a reason hotels would like us to check out at noon. I suggest checking out of your day at noon as well. Give yourself a break in the day for a meal, a walk, a rest. It doesn't matter, just check out of work. Boundaries. Maybe we should call it work-life boundaries. Do what's important. With so much to juggle, something's got to give. Me? I quit sorting darks from lights in the laundry. The laundry is clean. And I'm fine with it. How can you maximize your time with your household chores? Now, I'm not suggesting you wash the dishes while you're in the shower here, but there are ways you can save yourself some time. No one cares if the pillow cases are ironed...for example. Take care of yourself. Make time for you. Eat well, exercise, and drink plenty of water. Get enough rest. These things go a long way when it comes to keeping stress at bay. Finally, control what you can control...which is very little. Most of what you lay awake worrying about will never happen. Choose how you react to information, and when stressful situations arise, deal with the facts. Try to leave the emotions out of the equation. It's not easy, and it requires your presence of mind. Take a deep breath when life gets completely crazy. Now keep breathing, and give yourself a break. You can keep doing this! Fantasies come in all shapes and sizes. For some (who shall remain nameless) winning the lottery is a fantasy, for others it's having long flowing hair like Farrah Fawcett...again I will remain nameless. Dang! What makes a fantasy a fantasy? In the case of unicorns, it's they just don't exist. Please apologize to all the seven year old girls in the world for me. I don't think Fabio exists either...sorry ladies - if you're into that kind of thing. Ick! For some though, the fantasy isn't so untouchable. It's just simply out of reach. We think to ourselves, "I could never have/do/be [fill in the blank]! That would never happen for me!" But what if it could? It can. The only thing standing between you and your fantasy is a good solid plan. If you think you can go from "A" to "G" - you've missed a few steps along the way. G is too far off, so you put it out of your mind. It becomes your never. You can make your nevers happen for you by breaking down the steps to getting there. By looking at the outcome (aka: fantasy) we can work backward. What would it take to make that happen? And then drill down one level. What would it take to make that happen? Drill down another level. And so on. Finally, you come to - today! What will you do today to work toward making your fantasy your reality? Now, I know my sister is right - I am not (likely) going to win the lottery. So, each day I work to make my fantasy life come true. I work hard, I write, I do things which feed my soul, and I pursue the things that make me happy...right now. Begin to make a plan, step by step, to work toward your fantasy life - even if it includes Fabio! I've come across something interesting lately. It's kind of a chicken and egg scenario. A "which came first" question of sorts. We know inflammation can cause all sorts of issues for people. And the media is ripe with anti-inflammatory foods, diets, tinctures and the like. From arthritis, to fibromyalgia to chronic fatigue syndrome - these all share one thing in common...inflammation. What I came across is the fact that our fat cells release cytokines. These cytokines are chemicals which act as communicators between cells. These chemicals promote inflammation. They tell our cells to become inflammed. Hmm? Now, Rheumatologist aren't sure if elevated cytokine levels are a secondary or direct cause of conditions such as fibromyalgia and chronic fatigue syndrome. Thus the question, which came first? Sleep deprivation also induces elevated cytokine levels. It would reason if we're over fat, or under rested...our chemical messengers are running around yelling, "INFLAMMATION EVERYWHERE!!!" As a result we are suffering. Inflammation causes pain, swelling, and loss of movement and functionality. Some foods have been found to counter cytokine inflammation. Particularly cold water fish like salmon, trout, mackerel, sardines, swordfish, shark, cod & halibut. These all contain omega-3 fatty acids which reduce inflammation. Eating whole fruits, berries, olive oil, nuts, green and brightly colored vegetables, and drinking plenty of water help to reduce inflammation. Limiting (or excluding) processed foods, sugar, and saturated fats from our diets helps to decrease inflammation. Less fat in our cells, less cytokines sending out inflammation messages. Makes sense. What this reminds me is, there are a lot of reasons to live a healthful lifestyle. Most of the benefits we feel, we don't necessarily see in the mirror every day. We shouldn't be dismissive of the multitude of good we're doing for ourselves every day by doing the right things for ourselves. Quiet down your cytokines by making great choices, every day! Making Sleek Summer Calorie Swaps! Calories can add up in a hurry. With a bit of creativity, and an open mind, we can easily make some swaps that will leave us sleek in time for summer! A lot of times we don't think about the calories here and there which add up over time. Before you know it, we're over our limit. This is how the pounds creep up on us year after year. Being able to swap items is important for our continued success. Here are a few great sleek summer swaps! 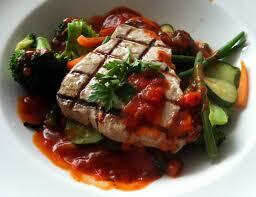 Tuna, steamed veggies & tomatoes! These kinds of swaps can save you hundreds of calories. And as the summer season heats up saving 100 calories from flavored creamer in your coffee each morning, might not sound like a lot...but in a month you've lost a pound from just that one change alone. It adds up. Swapping for lower calorie alternatives helps up to use our calories where they matter, for foods that provide quality nutrients. It's all about swapping one thing for another, rather than cutting something out completely. Make a few swaps and see if you can't get yourself past your latest hurdle. Get swappin! It would be one thing if you weren't also grunting them under the effort of your reps. Please! It makes me think you're going to poop your pants. I'm just worried. You usually have your headphones on so maybe you don't know you're counting out loud. Maybe. But that's got to be stretching it. YOU HAVE TO KNOW THERE IS SOUND COMING OUT OF YOUR MOUTH! And I could possibly deal with the grunting...EXCEPT I'M LIFTING MORE THAN YOU! OK, let's just take a deep breath here. We'll all count to ten...together. Deep breath, and one, two....So, here's the problem. Your counting out loud is messing me up in my head. Did I just do 7, or was that 8 - because you just count-grunted, "Nneeleveh!" And then you kind of squealed like a 7th grade girl. Plus, if you can do 11 (which is what I think I heard you say), it can't be that heavy for you. I guess it's not you, it's me. See, when I'm laughing I cannot concentrate the way I need to. I think I'll just wait until you're done with your set and then I'll do mine. Besides, I likely want those weights you've got. I'll just look for a natural ebb, or flow...or silence. To all the counting out loud guys (or gals) I'm just letting you know, we can hear you. We're really proud of how many reps you did. We can see, and hear in your voice - the effort you're putting out. Way to go. Last thing, one of the strongest men in the world, Aaron Anderton (google him), lifts at our gym...not a peep out of him. And he can count in his head. So, we can deduct counting out loud doesn't make you stronger. What is this glycemic index all about? GI? Am I supposed to eat low or high GI foods? Confused? Let's break it down...in a sciency way. Oh, I'm getting exited! All carbohydrates are not created equal. When we ingest carbohydrates our body breaks them down and begins to move them through our blood for use and storage (we're going to keep this simple). Our pancreas secretes insulin to help transport and store the carbohydrates - to hold its hand and move it into cells. Some carbohydrates (simple carbs) need a lot of handholding. The Glycemic Index, GI, was developed as a rating system to determine how much handholding a carbohydrate needs. GI is a measure of the carbohydrate's effect on blood sugar levels. Specifically it's the measurement of response (insulin response) in the two hours following eating 50 grams of the food. The standard against which foods are rated is white bread. White bread = 100 (GI rating). White bread's glucose effect - or blood sugar response = 140. So the GI is designed to estimate blood sugar response based on the GI rating of a carbohydrate. Got it? This system was designed for diabetics, and it's been adopted by weight management communities as well because a steady blood sugar level is a marker of good food choices. A high GI rating is a fast digesting or simple carbohydrate, and a low GI rated food is a slower digesting carbohydrate. 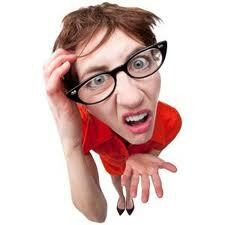 The less a food effects our blood sugar, the less load it puts on our pancreas to secrete insulin to deal with it. We don't want to be eating foods that need a lot of handholding - we want to make choices from the low end. Basically, the simpler a carbohydrate, the faster it's digested and gets into our blood stream. All of a sudden we have a dump into our blood, insulin has to rush in and grab it up (hold its hand) to transport it for storage. Items on the low GI list digest slowly, they are like time-release carbohydrates. They are all grown up and need very little handholding. Just a little. Cause it's nice (wink). Here's a list of 100+ foods and their glycemic index. I hope this helps to demystify the GI rating once and for all! Since as early as 1916 the United States Department of Agriculture (USDA) has been helping us make healthy food choices. Their initial campaign, "Food for Young Children" aimed to establish guidance based on food groups and household measures. The focus was on "protective foods". In the 1940s A Guide to Good Eating introduced the basic seven (food groups). It created a foundational diet for nutrient adequacy. It included the daily number of servings needed from each group. It was considered complex, and did lack specific serving sizes. I think butter was it's own food group. No joke! From 1956 to 1970 the USDA brought us Food for Fitness, A Daily Food Guide. This simplified nutrients into four food groups, gave specific amounts from each, but didn't give guidance on fats, sugars, or exactly how many calories we should eat. In 1979 we were introduced to the Hassle-Free Daily Food Guide. That sounds good. It was developed after the 1977 Dietary Goals for the U.S. were released, and did in fact include a 5th food group highlighting the need to moderate fats, sweets and alcohol. In 2005, MyPyramid Food Guidance System came out, which included 12 calorie levels. Twelve. It was a simplified graphic illustration with a ramped up web based support. It added a band for daily physical activity. The graphic had a person stepping up the pyramid. Welcome to the new USDA guidelines and graphic! MyPlate. It's a different shape to help grab our attention, and the icon is designed to be a reminder of healthy living. Their website continues to provide lots of great tools, menus, tips, recipes, and guidelines. 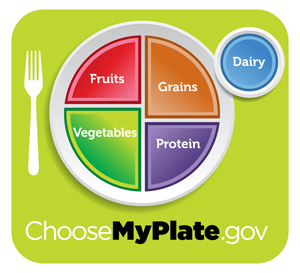 I hope you'll take a look at the ChooseMyPlate web site and share it with others. Having access to information is key to success! Knowing the styrofoam containers in the refrigerator which had materialized over night had nothing in them for me...I put them out of my mind like they weren't even there. My husband had gone out to dinner the night before and he'd apparently brought home leftovers. My curiosity wasn't even sparked in the least. Not on my plan. Whatever those little containers held could forever remain a mystery and I'd be fine. I prepped my meals for the day, packed my cooler and was ready to head out the door. Then he brought the containers out and said, "I have something for you." Confusion. "For me?" I said. I think I might have even pointed at myself just to make sure we were understanding one another. I looked from a safe distance over his shoulder as he opened the clam shell container. It was like Christmas. 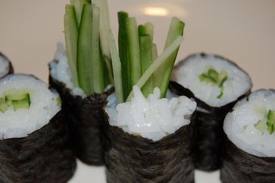 Four slices of cucumber, radishes, ginger...and a petite six piece cucumber roll. See, the rice in the roll was equivalent to my oatmeal (mostly). So it was a fairly safe (although "treaty") trade. Two things happened as we stood in the kitchen negotiating this high stakes trade. First, we consider the technicality of the trade. Are the items equivalent? Being able to make trades in your plan is really important. In order to do that you need to understand the nutritional value of what you're eating. This trade for instance falls into the "treaty trade" category because while it's calorically similar, let's face it...the sushi rice is sweet for a reason. Second, and more importantly - I needed to face my readiness and willingness to make a trade. Can I, recognizing when it's appropriate, stray from rigidity to implement a trade? This is what makes negotiating weight management over the duration of our lives, successful. We have to be able to bend. These are "tools" that make you successful over the long term. Being flexible, and being able to make nutritional trades with your program. Set yourself up for success by making high stakes trades! And yes, I enjoyed my trade...very much! The rain drops came slow at first. I had my wipers on the delay setting. The windscreen on my car would fill up with drops and just in time, swipe...the wipers would take care of it. And I could see the road in front of me. Then the rain began to pour down, hard! But I didn't increase the speed of my wipers. Not yet. I wanted to see just how long I could push it. Finally, as it began to pour cats and dogs I eventually turned the wipers on full speed. Now, had I been in the passenger's seat. I would have been crawling OUT OF MY SKIN! I would have been twitching at first, then piercing my lips with my arms crossed, next I'd let out a huff of air..."Honey! Can you PLEASE turn on the wipers! I can't see anything!" But when you're in the driver's seat...it's different. Your journey with weight management is the same way. No one else can drive this thing for you. You have to be in the driver's seat. The reason? It's all about control and seeing what's in front of you. 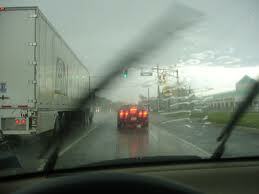 When you are in control of your wiper speed, you know you'll be able to see. You know that just in the nick of time, your view will be clear. You know what's coming. But when you're the passenger...you don't know if the wipers will ever come on. Ever! Sometimes it's easier just to sit back and let someone else do the driving. Me? In the literal sense, I prefer to be driven. But figuratively...I'm driving my own destiny as I take my journey toward my fitness goals. People say, "Oh Kris, you're so dedicated...you stay on track so well." "How do you always manage to do what you're supposed to do?" I have a trainer, a coach, mentors, champions, people who love me and cheer me on - but ultimately I'm the one in a little tiny suit on stage displaying my physique. I better have done the work. Your goals are your goals, we're all here to support you - but you're in the driver's seat and you get to control the wipers! Dumbbell Preacher Curl - Beautiful Biceps! I've seen your giant purse, and I've seen you doing biceps curls in the gym with the 5lb dumbbells. Guess what? Yesterday you read about the overload principle...so you tell me if you might want to increase the stimulus of those curls? Our biceps make up the front of our arms. There are countless ways to exercise them, this is the beauty of strength training! I like the dumbbell preacher curl because it's easy to take out the shoulder action from the movement and concentrate just on the biceps. Strong and sleek arms are a combination of toned, lean muscles. We achieve this by (broken record) eating healthfully - meaning clean meals, 5-6 times per day, drinking plenty of water, skipping the sugar, eating complex carbs (in the right amounts), enjoying a few cups of green tea each day, and preparing wholesome food. Getting plenty of quality sleep goes a long way too. Couple this with 5 to 6 days of cardio each week, getting 30 to 60 minutes (combined total on each of those days), and you'll be on your way to beautiful biceps! In the photo, she's doing a cable preacher curl, just another way of doing it. But please visit the American Council on Exercise for the Dumbbell Preacher Curl. I like the dumbbell because you'll be focusing on one arm at a time. Mind/muscle focus is key to success in the weight room. Now, you've got two new exercises to incorporate into your arm routine...or to begin your arm routine. Put in the work, and you'll love the benefit of sleek toned arms. I'm thinking tank tops! It's time to bare arms! Uh-oh! What's all that? If you've been under sweaters until oh now, you might be in trouble if you haven't paid attention to your diet and exercise. Welcome to the arms race! In addition to eating clean and healthy, and doing your cardio 30-60 minutes most days of the week, we need to be toning the muscles of the arms. We'll look at a triceps pushdown today. And go from there. This exercise works the triceps - on the back of your arms. The exercise can be done in a number of different ways, but today we're looking at a pulley press down. Remember, strength training strengthens the muscle by recruiting muscle fibers when you lift weights heavier than your normal daily activities (overload principle). Strength training doesn't do anything to the fat on top of the muscle. When you wave to your friends, and your arm keeps going after you've stopped...that's fat. Eating healthy, and doing your cardio create the deficit in calories to burn the fat. Clear? This is why it's critical to do all in combination. Another thing to remember, the only way to spot reduce, is surgically. Our body gains, and loses fat systematically according to our genetics. Unfortunately it doesn't happen according to what we want, no matter how much we want it. So keep your head straight about those concepts and get to work. Visit the American Council on Exercise for a full description of the Triceps Pushdown. Happy pressing! Gossip! - Did You Hear The News? When news turns critical, judgmental and demeaning your gossip has become harmful. Negative energy gets you negative energy and putting someone else down to make yourself feel better is, juvenile. Worse even, it's considered bullying. Think about even your best friends - together - in a pack. Girls night out can turn ugly in a hurry. Jokes to embarrass or humiliate someone. Whispering behind a cupped hand and piercing eyes. The name calling, and the rumor spreading. She did what?! And even when you know better, it's difficult not to get sucked in by the ring leader. You might feel powerless against her, or at least you don't want her to turn on you - so you quietly go along...laughing at what's-her-name with the junk in her trunk! If we look at what we're doing here it's scary. The alienation, ostracism, the deliberate and calculated exclusions...the rumors we're spreading about one another. All in the name of the popularity game. It's not harmless fun, it's not in jest, it's not just because we've had a few. It's mean, and catty. Breaking away from the pack is easy. You can destroy gossip by ignoring it. Simply don't pass it on, don't engage in it. Let the person know you're not interested in hearing it. Call them out and let them know you doubt that's true, and if it were...we should support her. Gossip is a form of bullying. We really should support one another rather than tearing each other down. It starts with each of us supporting one another. Did you hear? Share the good stuff, forget the gossip! As barbecue season heats up, so do social opportunities to throw back a few. This along with a funny conversation with a new friend, and Bliss reader, resurrects a topic we need to talk about again. Alcohol. "You should write about healthy cocktails." She suggested. I tried not to choke on the chicken that had gone up my sinuses from laughing as she said this with complete sincerity. It's true, I shouldn't have conversations while I'm eating. She's right, there is a scale of choices from worst to less than worse. But healthy? This is a stretch for me. Now, I realize people are going to indulge in alcohol. I understand that the masses are not going to strike it from their menu...even though it doesn't help them meet their weight loss goals. Let's go back to the science of why it impedes our progress. Alcohol has definite direct effects on your body - it contains seven calories per gram. These are empty calories meaning they don't provide your body with any essential nutritional value. It effects your metabolism, causing fat to be stored instead of being used as an energy source. 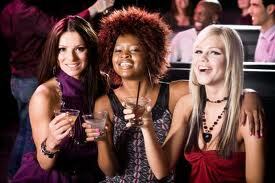 Alcohol reduces the blood flow to your muscles, causing weakness and deterioration. It reduces testosterone in the blood and increases conversion of testosterone into estrogen, causing increased fat storage and fluid retention - this is a big issue for men. Women's estrogen level increases, increasing our fat storage and fluid retention. Feeling puffy? It creates imbalances in your liver causing hypoglycemia (low blood sugar), fatty liver and hyperlipidemia (build-up of fats in your blood stream). Need more? Alcohol cuts off the supply of oxygen to the brain, resulting in a "blackout" caused by a lack of oxygen supply to the brain killing tens of thousands of brain cells. What about sleep? Many women like to have a glass of wine before bed to wind down. It actually causes increased fatigue and physical stress to the body disturbing the sequence and duration of sleep and altering the time it takes to fall asleep. It's counter productive. Alcohol inhibits nutrient absorption, both short term by shutting down your metabolism (your body has to deal with the alcohol) and long term by damaging the cells lining the stomach and intestines - making it difficult to transport nutrients. The short term shut down causes all that food you've eaten to be stored as fat. For later. What's the bottom line. If you choose to drink, do it moderately. Always have a big glass of water for every one alcoholic beverage you have. And don't be surprised when it slows down your weight loss goals, it's counter productive. I don't expect people to do what I do - I'm an athlete and alcohol just doesn't fit into my plan. Having said that, I'm not going to sugar coat this issue for you like the rim of that fancy lemon drop. Ultimately, the choice isn't mine. Last call, it's yours. Presence Of Mind - Success Made Simple! 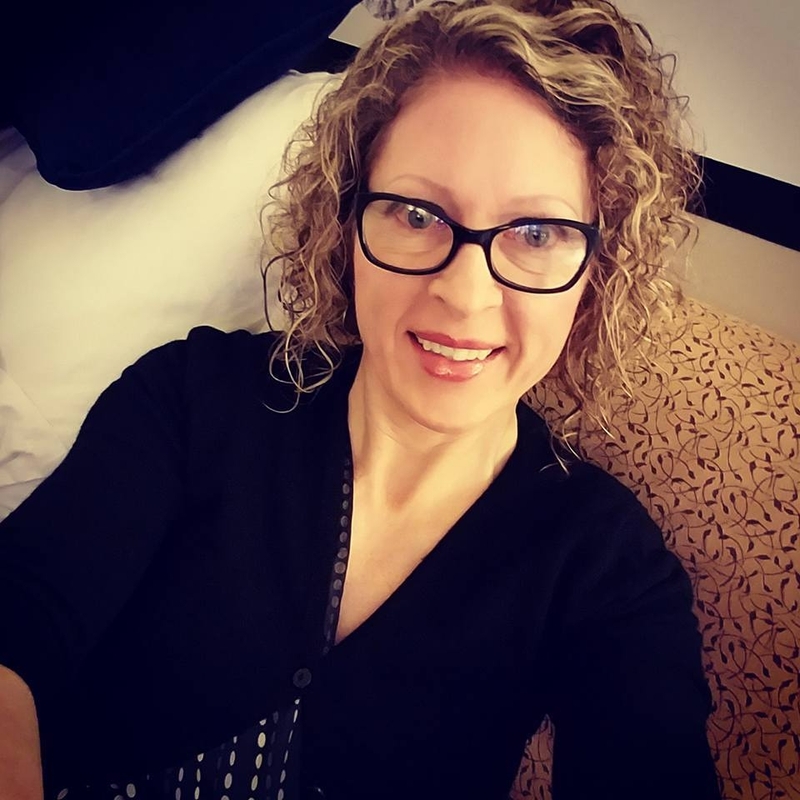 I recently had the opportunity to hear a presentation by a scholar who said, "We may not be able to choose how we feel, but we can choose how we act." 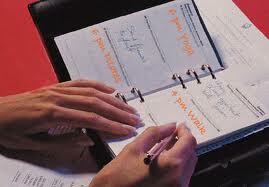 His statement sent me diving into my giant purse for my tiny notebook where I jot down big ideas. While he was speaking about a very different topic, his statement is something I think about a lot and is quite relevant to success with weight management. Weight management is only slightly about food. Barely. If it were, it would be easy. We'd just do the math, and eat the right nutrients at the right time of day, in the right quantities and we'd all be height-weight proportionate. Done. Our struggles with weight are rarely about food. They are about our feelings. Moreover, about our choices in actions regarding our feelings. So his statement is something I believe very strongly in. We may not be able to choose how we feel but we can choose how we act. Let's look at that. Feelings are individual, associated with memories, and emotions. Powerful and undeniable, we have a right to our feelings. There's no changing that. It's helpful if we can recognize them prior to acting on them. This is true for any situation, not just around our food choices. The reality is we can recognize our feelings. We can assess their appropriateness in a situation. In many cases, we can take a deep breath and gain perspective around our feelings. This is our opportunity to look at our options. It's our time to consider our choices, before we act. We can recognize our feelings, look at our options, and choose an action congruent with our goals. This is where our success is built. It's built in choosing how we act, how we eat - in emotional situations. When we break it down in this way, it kind of is simple. We just have to give ourselves the presence of mind to make choices. Be present for yourself. The success is yours! Wait Five Minutes - You're Fine! 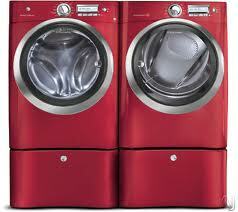 A few years back, front load washing machines became very popular. Boasting larger load capacity, gentler action - due to no center agitating arm, and various other attributes which made this type of machine superior. Now, in order to "keep up with the Jone's" you must have this wonderful front load washing machine. But an unmatched set is not acceptable, so with it comes the matching dryer. Designer colors would set your laundry room apart from your neighbor, such that your "laundry expression" would really take on your personality. As you can imagine these machines are very expensive. They require a special floor stand which brings the machine loading area up to a height where you're not constantly stooped over while laundering. Additional price tag there. So all in all - quite an investment. But well worth it to have the very best in home fashion and function wouldn't you say? First, I am thankful every time I pull a load of clean clothes out of my washing machine. Every. Time. I realize not everyone has a washing machine. I actually feel grateful every time. And when I pull that same load out of the dryer! Magic! It also makes me think about wanting what you have not having what you want. This philosophy extends to every aspect of our lives. It specifically extends to how we see ourselves, our bodies, and how we love and treat ourselves as a result. Want what you have. Love yourself right now, and care for yourself. The rest will come as a result of what you do because of that. My final thought about the washing machine, is trends come and go. If we just wait five minutes (or maybe five years) trends change. Sometimes things come along that seem like the "next wonderful thing we MUST have/get/do/be!" The reality is, we are fine just how we are. Wait five minutes. Take another look...you're fine just how you are! Are You Undoing Your Deficit? I'm in full contest prep mode. Yes, this means the "d" word. I'm dieting. It might look confusing because I'm eating a lot of food. Every 2 hours or so, there she goes again...another meal! People are starting to notice too. In just a few weeks, I'm leaner looking. And with the sun contemplating showing itself the arms have come out from cover, exposing themselves in all their glory. Sure, everyone wants these arms...but no one seems to want to eat all this food?! "There she is again," I hear at the microwave at work. "with her chicken and what is that?" I look into my Pyrex container, "Broccoli." I confess. I've also increased my cardio recently. And I'll tell you what. I can feel my metabolism kick into gear! As I whined about feeling hungry, my trainer-husband (yes, I am lucky) reminded me of something I felt compelled to pass along. 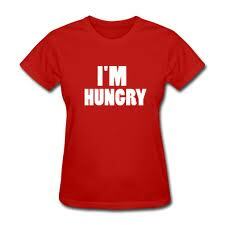 "Your hunger level actually exceeds the demand your increased cardio places on your system." Translation: you haven't burned as many calories as you would eat if you fed your hunger. This is SO important. It's important because as we increase our activity, our metabolism goes up. That's good. But we do ourselves a disservice by literally feeding into that. We don't ever allow the deficit. IT'S OK TO FEEL A LITTLE HUNGRY! "You can have a shake until your next meal." He said. I marched right out of the kitchen with my chin up like a champion. (I think he knows me well enough to know I'll do the opposite.) I wasn't about to undo my deficit! If you're taking two steps forward and one step back each week, stop and get honest about your plan. Are you undoing your deficit? Go For It! Get Moving! Arms crossed I stood looking out my office window. I squinted to see if it was raining yet or not. The wind had picked up and the clouds were threatening. Then a car passed...no wipers. I'm going for it, I thought. I laced up, grabbed my umbrella, my windbreaker and my i-pod and I was out the door. By the time I rounded the walkway heading off campus, the raindrops were coming. I can out-walk these drops, I thought. The path along the river started out sparse but quickly filled with groups of day campers, walkers, runners and cyclists. Having such a wet season has the river swollen past it's banks and raging through our city. THAT'S loud water, I thought. The rain was faster than my walk, and up went my umbrella. I could smell the earth, and the colors were in bloom all around me. Nearly finished, I could feel the water had soaked my slacks. I'm glad I wore black slacks, I thought. And as I settled back into my office...the sun began to shine. My walks are not epic. My thoughts are not earth shattering. But spending 45 minutes outside, regardless of the weather, seeing and smelling the world, and smiling at passers-by is a remarkably recharging way to spend my lunch. How did you spend your lunch? At your computer again? I think you should lace up and get moving for a few minutes. Get outside, even if you don't have a river to walk by. I'm not waiting for spring, or summer...or anything - I'm just going for it! The number one complaint from people is they don't have time to exercise. I can appreciate that. Time is a commodity we could all use more of. Others complain their workouts take too long. I've got some ideas about economizing your workouts. Economizing your workouts begins with a solid plan. By combining the right muscle groups together and then selecting the best exercises for those, you're on your way to maximizing your time. Efficiency takes planning, this goes for your workouts too. You can't wing economy. If you're a busy person, a six day split isn't going to work for you. Something a bit more simplified might need to do the trick. You also might not be able to commit to 45 minutes of cardio in one session. Break it up into two sessions of 25 minutes during the day when you can sneak away. These things help to make the best of the time you have. The next step is what happens once you're at the gym. The key to success here is to leave your i-V phone or crackberry in the locker. I see more phone use than lifting in the weight room lately. I can assure you facebook will still be there when you're done. Your email can wait the 45 minutes it takes to do your routine. And unless there is an actual emergency, no one needs to get a hold of you. This is your time. We all have the same 24 hours in the day - the same 7 days in the week. How we use and allocate our time depends on what we value. If we value watching TV, we can spend four hours between the time we get home from work and when we go to bed watching. Or, we can allocate that time for other things we say are important to us. Your workout can take you a lot of time, if you have it. But it doesn't have to. Find ways to fit it in and then economize what you do by focusing on the workout. Multi-tasking takes away from what you're trying to accomplish. We all have the same amount of time. How are you using yours?